The rule of thumb before was that the firmer the mattress, the better. With the arrival of memory mattresses in the market, it seems like that isn't really the case. Originally a 1966 innovation from the National Aeronautics and Space Administration (NASA), memory foam is a material intended for use in airplane seats to lessen the intensity and pressure of gravity in take offs and landings. With the discovery of its features and benefits, it quickly penetrated the medical field as it provides a comfortable and sensitive material for patients in the intensive care unit or in their wheelchairs. Memory foams' ability to conform to the contours of the body was so revolutionary that it was an innovation in every industry that it entered. In the 1990s, the material was sold to a public company that would later on change the game in the mattress and sleeping department. However, its production in its introductory phase was quite expensive. Because of its commercialisation, new ways of making it more inexpensive has been achieved throughout the years. Why choose a memory foam mattress? When you are sleeping in your bed, forces act upon your body such as the downward pull of gravity and the upward pressure coming from your mattress. Using a regular innerspring mattress creates painful pressure points where your body and your mattress come in contact usually in the hips, shoulders, and heels. With a memory foam mattress, its ability to adjust accordingly to your body lessens the upward pressure from the body by up to 50%. Because the pressure in your body sleeping on an innerspring mattress is concentrated on specific areas, other critical areas of the body lack support causing body aches, lower back pain, and even, muscle tension. A memory foam mattress, on the other hand, supports the body evenly helping with spinal alignment. The sleeper benefits from this in the long run because it also aids in the prevention of spinal problems. Therefore, the pressure point relief feature not only helps to give you better sleep but it also has health benefits in your waking life. The mattress' contouring feature is made possible by its adjustment based on body weight along with the memory foams' temperature sensitive material. Sleep specialist Donna L. Arand, PhD mentions that body heat softens the foam in just the right places allowing it to follow the natural curves and lines of the body. This temperature sensitivity feature aids in pain relief because areas in pain are slightly hotter in temperature than the rest of our body. These small differences soften the foam further enabling it to be more gentle on those areas of pain. However, memory foam mattresses absorb and retain heat from body temperature which could only be useful during the winter season. To ensure that you continue getting a good night's sleep even with warm weather, purchase a memory foam mattress with a cooling feature. Another key benefit is for people suffering from sleep apnea, a condition where the breathing is interrupted during one's slumber. Sleeping with a memory foam mattress, especially when paired with quality memory foam pillows, provides a good amount of support and elevation for the head which assists in achieving a healthy breathing pattern. When sleeping with a partner or a pet, restful sleep is harder to achieve with all the different possible sleep disturbances. For light sleepers, a memory foam mattress might be your solution! Because this mattress type isolates motion in one area, your partner can go in and out of the bed without you feeling a thing. 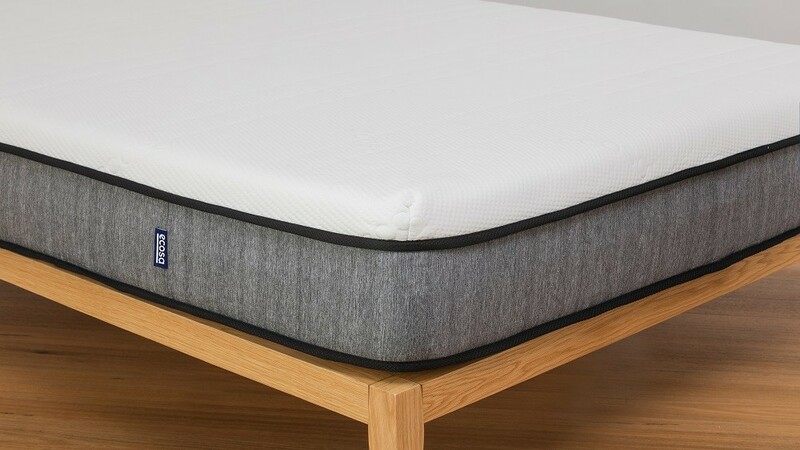 Dust mites and other allergens such as mould and pet dander thrive in traditional innerspring mattresses because of the large open spaces present inside these beds. An innerspring mattress that you have for a couple of years could have 100,000 to 10 million dust mites inside of it. Not only does it provide the perfect environment but it also gives them access to a stable food source. Dust mites are known to snack on dead skin cells and since we spend so much time in our beds, we leave a numerous amount of dead skin cells on our sleeping surfaces. Because of the high-density structure of the memory foam, there are no large open spaces for the dust mite to reside in. The dust mites then opt to reside near the surface to give them more room. To effectively cross out dust mites from your bed, regular vacuuming and pairing your mattress with hypoallergenic mattress covers could prevent their growth and mitigation. The average memory foam mattress can last up to eight years with higher quality memory foam lasting up to fifteen years. Maintenance isn't much of an issue because it only needs very little for it to last for a long time. Of course, the mattress could benefit from the occasional turning and vacuuming every now and then but that's all that there is to it. In comparison, innerspring mattresses last for up to five to six years but are prone to sagging. Additionally, because this mattress type doesn't repel dust mites, a monthly rotation is optimal. Air beds and water beds, on the other hand, average a lifespan of seven to ten years but to be able to reach that duration, constant changing and updating of parts must be done. The memory foam mattress is a gift that keeps on giving! From its numerous health benefits to its hassle-free maintenance, the memory mattress is definitely worth every penny.